Product prices and availability are accurate as of 2019-04-21 13:26:10 EDT and are subject to change. Any price and availability information displayed on http://www.amazon.com/ at the time of purchase will apply to the purchase of this product. Replacement Presto FryDaddy Plus Basket for Deep Fryers - 94846 Product Description Presto Fry Daddy Plus deep fryer replacement deep fryer basket.? Designed for use with the Presto FryDaddy Plus deep fryer model number 0542508.? Handle is NOT included. 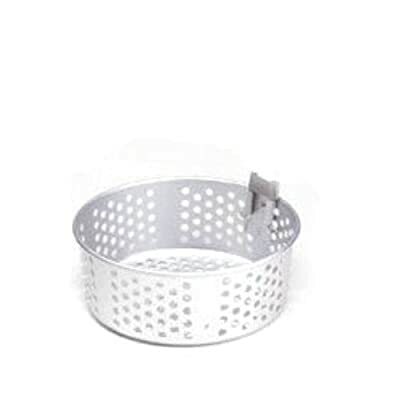 Uses basket handle Presto part number 94066.